Welcome to the official web-site of The New York Pilates Studio® the fifth owner of Joesph Pilates original Pilates Studio business. We invite you to step inside, travel through time, and learn from the Pilates Source™ about this hundred year old fitness legacy and its creator, Joseph H. Pilates. Navigate through this site and learn the history of The Authentic Pilates™ and its benefits. Locate a Pilates Guild ® certified teacher or studio in your area, discover the value of teacher certification, chat or ask us a question about Pilates on our Facebook page or shop on-line at our Etsy Store to purchase Pilates posters, cards and other unique Pilates history. Many famous people have stepped through the doors of our Pilates Guild® certified teachers studios, gaining a new outlook on fitness. Including actors such as Lady Gaga, Courtney Cox, Minnie Driver, Madonna and Julia Roberts, as well as athletes such as the San Francisco 49ers and the Cincinnati Bengals. Visit the Pilates Guild® page and discover a community of certified teachers from diverse backgrounds in the dance, fitness and business world. The thread linking our Pilates Guild® community is dedication to excellence. Our Pilates Guild Certified Teachers™ PGCT™ have met the challenge head on, completing a year of intense physical and mental training to attain certification and serve you with integrity, professionalism, commitment and talent. By accessing our archives you will find past and current information in publications such as Time, People, Cosmopolitan and The New York Times, which herald the popularity of this one Hundred year old technique, now coming of age. With all the confusion surrounding "Pilates"or "Classical Pilates"(both generic terms) today, it can be confusing to locate a reputable source. Many people have jumped on the bandwagon, with various degrees of training ranging from one week-end to just a few months. Although some may be talented teachers, many teach contemporary excercises not based on the ideas and concepts of Joseph Pilates work, and combined with elements from other techniques or methods of exercise. These changes fundamentally alter the nature of the exercises, so that they may resemble Authentic Pilates™, but are really something very different. Others may teach only floor or "mat" exercises. Only instructors who are certified and licensed by The New York Pilates Studio™ Teacher Certification program and are Pilates Guild® certified have completed this unique kind of rigorous, hands-on training program that Joseph Pilates deemed necessary to teach his method properly. RDG, LLC. 's owner of the New York Pilates Studio® Trademarks mission is to preserve and perpetuate Joseph Pilates' original system of body conditioning and protect its integrity through its trademarks, The New York Pilates Studio®, Authentic Pilates™ and The Pilates Guild®, The Pilates Source™ and the copyrighted Sean Gallagher's Pilates Archives™ materials. This ensures the public that they are getting the classic Authentic Pilates™ method of body conditioning and a safe and consistent workout. With the support of RDG, LLC. 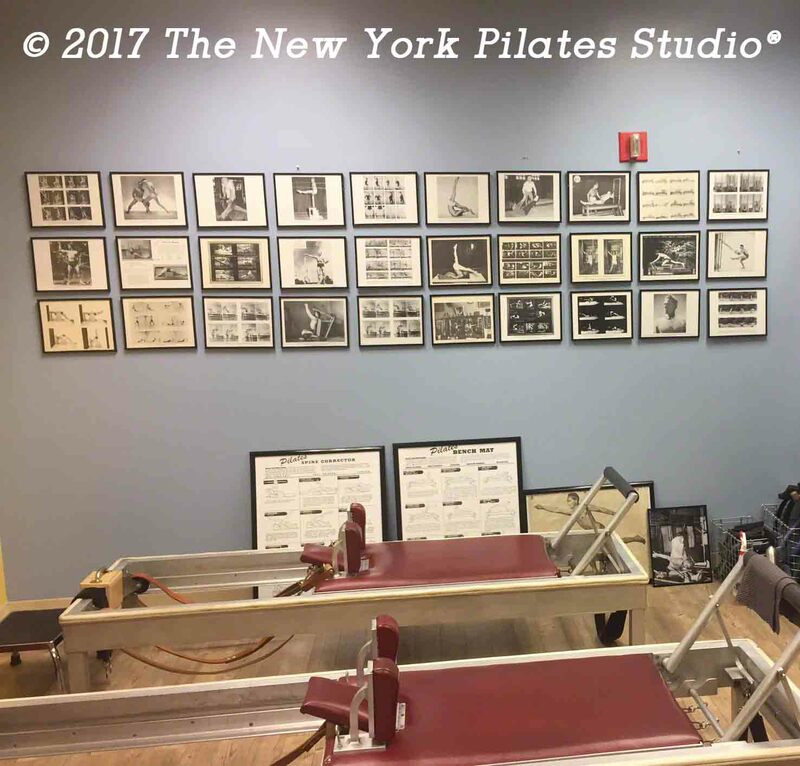 Joseph and Clara Pilates vision coupled with the dedication of Sean P. Gallagher, PT, and Romana Kryzanowska as well as the work of many of our teachers of teachers and students has enabled his work to endure for future generations. Authentic Pilates™, The New York Pilates Studio® and The Pilates Guild® are trademarks of RDG, LLC.